Time is elusive. We have measured it since ancient times with the sun and the seasons, and as our minds developed, so did our timepieces. As much as we have fantasised about the day when man would have control of time, whether it be in stopping time or time travelling, time eventually slips through our fingers. Everything we do is marked by the steady march of time. We lose moments to the past, never to be regained, leaving us with regrets and missed opportunities because no one can turn back the clock. The ancient Greeks had two words for time, chronos and kairos. The first is the more popular of the two, and in terms of etymology, it has found its way into modern English words like chronological and anachronism. It refers to clock time – time that can be measured – seconds, minutes, hours, years. The Greeks have personified chronos as a weary, bent-backed old man with a long grey beard, carrying a scythe and an hourglass. His resemblance to the Grim Reaper is not accidental. Chronos, is the stuff that kills you. The wrinkles etched on my face and the grey hair sprouting out of my scalp are visual reminders of it. It takes away everything. If Chronos was commonly depicted as an old man, Kairos, on the other hand, was a young man, lithe and handsome. Where chronos is quantitative, kairos is qualitative. The latter measures moments or opportunities, not seconds. Kairos refers to the right moment, the opportune moment, the perfect moment, the moment for decision. Let me give you a concrete illustration of these two perceptions of time. For example, you look at your watch at 8 am this morning. That’s chronos showing up on the face of your watch. And then you ponder and realise that it’s time for mass in an hour. You finally make a decision to come to church for mass. That’s Kairos. How wonderful it would be if our mass timing follows Kairos instead of chronos? Instead of the standard hour, everyone should be here till you all get the message. When Our Lord came into public ministry, it was a fulfillment of promises past, a cosmic collision of chronos and kairos. It was a perfect moment, the right moment, the opportune time. In today’s gospel, we see the consequence and conclusions stemming from Jesus’ declaration that “’kairos’ (not chronos) has come.” This moment is bursting forth with meaning, a moment pregnant with possibilities. In that very announcement of the gospel of Christ, we see the God-given moment, the floodtide of opportunity, the moment when heaven touches earth and the earth is aligned to heaven in a conjunction that will never be witnessed again. Since that “time,” our experience of time will no longer be the same. If Kairos is the moment of decision, the moment of action, the moment of change, what is that decision, that must be undertaken? The words that follow immediately after the announcement of kairos time sets out the path we must follow, “Repent, and believe the Good News.” Pope Paul VI observed: "These words constitute, in a way, a compendium of the whole Christian life." They are the sum and substance of being Christian. The Gospel in a nutshell. To repent and believe the good news is nothing less than a spiritual revolution. It is the divine turning point, God turns to man in a way that was unprecedented and never anticipated, inviting man to turn to God in the most radical of ways. The Greek word “metanoia” expresses this reality. Understanding time from the perspective of Kairos also provides us an answer to the common frustration we experience over the seemingly lack of response we get from the Lord. When we ask for something right away, it might not always come. Or when we don't ask at all - but it shows up! It can be frustrating, but it is a good reminder that He is God and we are not. We can’t control Him just as we can’t control “chronos” as much as we think we can. “Kairos” time, on the other hand, represents discontinuity, when an unexpected barrier forces one to move off a planned course and adjust to new realities. In the case of the disciples, though it was the appointed time and the right moment, the appearance of Our Lord and His invitation may have come at a time when they least expected it. They had one schedule in mind; but the Lord gave them another. That is why, we should always be on the lookout. We should live our days looking for those moments, those inexplicable times when His will and His way intersect with our daily walks. And they can happen anytime! Asking, “when is it going to happen?” is the wrong question. We should be asking, “Am I ready to respond when the time comes?” and the time is always “now”! This new perception of time has deep implications for us. So many people are confronted with tremendous workload, impossible datelines and stressful work schedules, present company included. So often in our individual and community lives, in our various ministries, parishes and daily lives, we simply plod along from day to day, living with a sense of hopelessness, monotony or heaviness. There are two ways you can look at it. Chronos, or chronological time, doesn’t help at all, “I have so much to do and so little time and the time is just passing by!” Most time management books focus on chronos. We are locked into chronos time. 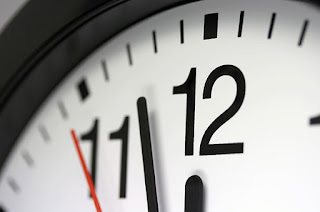 If we Christians only manage our chronos time, it will result in well-organised lives. Unfortunately, well managed lives often miss out on Kairos. Or one may begin to look at everything from the perspective of Kairos, “I have two hours of my time, what is the best way I can use it. Should I pray? Should I take out my bible to read?” Perhaps, as followers of Christ, it would be good to begin to look at life through this second way. Let’s face it, the amount of tasks you have is probably never going to reduce. The backlog is probably full no matter how hard you try. And that is ok. Time (Chronos) can just pass by, but what happens to you can be Kairos. At some time during a lengthy homily, you would look down at your watches, and ask yourself silently, “What time is it? When is this priest going to stop?” I guess, that’s the wrong question. In fact, it is the hour, it is the decisive moment, it is the opportune and most urgent time of decision. And it is not us who should do the asking but Christ. Today, Christ stands at the door of your heart knocking. It’s time to open the door and let Him in. Time to heed the call to repentance and to whole-heartedly believe in the Lord of Time and History. Time to stop walking away, but start walking in the direction of Christ. Do not delay!